With Chromebooks getting more expensive are they worth the price? Home News	With Chromebooks getting more expensive are they worth the price? When the Chromebook originally launched in 2011 it was seen as a cheap alternative to the traditional laptop. Since then the price of Chromebooks has risen, but are Chromebooks worth the price you pay? The price of a Chromebook has changed dramatically over the years. 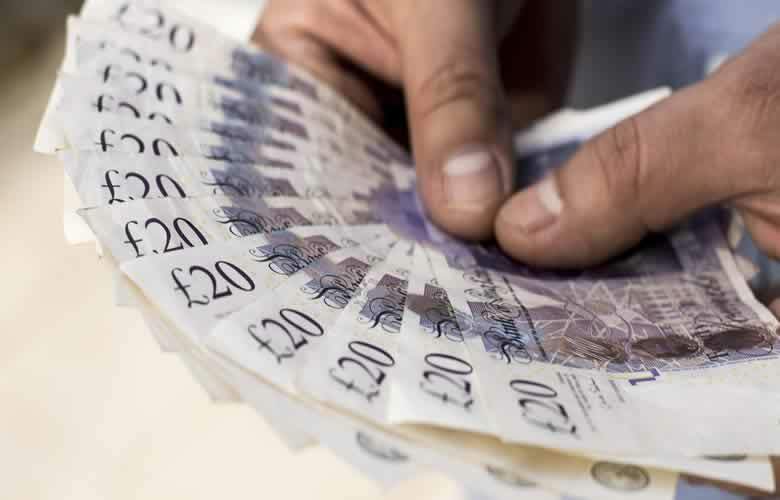 They used to be priced around £200/$200 to around £300/$300. However, today you can pay over £1,200/$1,200 for a Chromebook, so what has caused the rise in price? The Chromebook would have failed if it was launched at the prices you pay today for a high-spec machine. When you consider it took a long time for consumers and the tech industry to accept Chromebooks. Imagine how harder it would have been for the Chromebook to be accepted if you were paying double the price when launched in 2011. The Chromebook has changed considerably since launch. Chrome OS is a lot slicker than it once was and with the introduction of Android Apps on newer models it makes sense the price would rise. When Linux Apps are eventually launched the Chromebook will be a true competitor with a laptop running on Microsoft Windows or Apple. Even though the Chromebook has got more expensive over the years. You can still get your hands on a budget Chromebook for about the same price as you could in 2011. When you take into account everything rises in price over time, the price of Budget Chromebooks have essentially fallen in price. If you’re after a Chromebook just to surf the internet then a budget Chromebook will do you just fine. If a budget Chromebook is right for you, then it is still the cheapest laptop available on the market. Sure, you can get cheaper Microsoft Windows laptops today, and that is because of the competition Microsoft face from Chome OS. However, you would still be paying more for a budget Microsoft laptop than you would for a budget Chromebook. For Microsoft to compete with Chrome OS they had to get manufacturers to bring out cheaper laptops. The problem with this is that the cheaper laptops now available for Microsoft Windows have really low specs. A low spec machine running Chrome OS is fine because it’s a super light operating system, which takes very little processing power to perform. However, a low spec laptop running on Microsoft Windows must be unbearable. When you consider Microsoft Windows can be slow and sluggish on a high performing laptop. Imagine what it would be like using a laptop with a low spec. So if you’re looking for a budget laptop to surf the web, but also want decent performance. Then the Chromebook still provides great value for money. It’s great news that you can now get Chromebooks with a high-spec. Not everyone wants the cheapest Chromebook available. The higher spec Chromebooks do cost extra, but when you consider most of the high-spec Chromebooks are convertible you’re essentially getting a laptop and a tablet for the price. Also, the higher spec Chromebooks now offer great performance. Some of the specs on high-end Chromebooks can match the specs of high-end Mircosoft laptops. You bring Chrome OS into the equation with its super light operating system and you end up with a computer that can do more than just surf the web. The new high-spec Chromebooks being released now all offer Android App functionality and this greatly improves the functionality of your Chromebook. It’s fair to say the Google Pixelbook and the HP Chromebox G2 are on the expensive side, but they do offer processing power that can match any computer on the market. Another thing you need to consider about the Chromebook is that you do not have to pay for the Operating System. Chrome OS is free of charge and updates are also provided automatically without any extra cost. When you purchase a Microsoft Windows laptop it may appear you’re getting the operating system free. However, you are still paying for the cost of Microsoft Windows because it’s included in the charge of the laptop. Also, if you decide to update to a new version of Microsoft Windows you’ll get charged to do so. The Chromebook also has a huge advantage over Microsoft and Apple. You get lots of free software that you can use on a Chromebook. Whether you want to use your Chromebook to write essays or number crunch with a spreadsheet. Google offers Google Docs, which is free to use. Some Chromebooks are expensive such as the Google Pixelbook and HP Chromebox G2. However, if you purchase one of these types of Chromebooks it usually means you’re happy to pay the price. The great thing is you still have a choice. If you’re looking for a Chromebook at a bargain price there is plenty of budget Chromebooks available. If you’re after a little extra in functionality with a convertible offering Android Apps, you can pick up a Chromebook for around £450/$450, which isn’t a bad price when you consider what you get for your money. The Chromebook still offers great value for money, even if you pay a little bit extra for a high-spec machine. When Linux Apps launch on the Chromebook, you’ll be getting a lot more from your Chromebook than you do today. Looking to buy or upgrade your Chromebook? 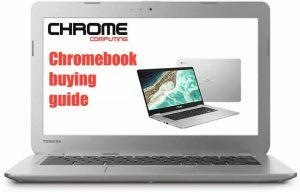 Chromebook buying guide – should I buy a Chromebook? Are budget Chromebooks still worth buying? Graphical User Interface for kids to learn programming, GUI.exe, like LittleArm 2C by Slant robotic arm uses a GUI screen on notebook in a window with sliders to control the arm (arm kit = $99); when will we be able use GUI on a Chromebook, please? And please don’t tell me to mirror off a Windows computer, then what’s the point of having the Chromebook in the first place.